Arguably the forerunner in the office messaging game, Slack is used by 750,000 workers (including those of Comcast, The New York Times, and, yes, Shake) only a year since its founding. On the heels of a $160 million round of funding, it’s likely to keep growing quickly in the months ahead. Highlights of Slack include automatic archiving of all message history, an engine to search for words and files exchanged with coworkers, and a comprehensive set of integrations with external services like Dropbox and Twitter. Slack, like most office messaging apps, covers one-to-one “direct messages” as well as “channels,” which are basically group chats between any subset of team members. Like many of their competitors, Slack is accessible from their website or a native app on your desktop or phone. Slack is unique, however, in allowing you to be signed into more than one team at once. A predecessor and now direct competitor of Slack, HipChat is another great option if you’re looking for searchable group and private chat capabilities as well as integrations and drag-and-drop file sharing. HipChat does not allow you to be logged into more than one team, but it does offer “secure guest access,” meaning you can invite clients, consultants, and other third-parties into a private HipChat room without adding them to your team (and without requiring them to set up any sort of HipChat account). HipChat also offers the ability to video chat and screen share, which Slack does not (though these features appear to be on Slack’s roadmap). Since Slack and HipChat are hosted on their own servers, you might (rightfully) be wary of sharing extremely sensitive or confidential information over these platforms. If that’s the case, check out SparkChat. Though it lacks the integrations, file-sharing, and video chat capabilities of fellow office messaging contenders, SparkChat distinguishes itself by allowing you to run its app on your own internal server. Since it is self-hosted, SparkChat hopes to offer you more control over your data and securer messaging history. An oldie but goodie, it’s hard to beat the familiarity and ease of Skype when it comes to video and voice chat. With a free Skype account, you can bring up to 25 people into group audio calls, screen share, and group chat. Skype for Business supports up to 250 people in meetings, and while it does not offer the constellation of integrations you’ll get with Slack or HipChat, it does integrate with Office apps such as Outlook (a comfort to you old-timers out there). Skype also boasts a pretty good mobile app that allows you to both message and voice/video chat from your phone. If your team has moved on from (or never touched) Outlook, Google+ Hangouts offers similar features as Skype (screen sharing, voice and video calls from any device, and decent one-to-one and group messaging) but integrates instead with Google services like Gmail, Google Calendar, Google Docs and Google Drive. Unlike Skype, Google+ Hangouts does not require you to download an app, which may appeal to those looking to access a platform from their browser without that extra step. 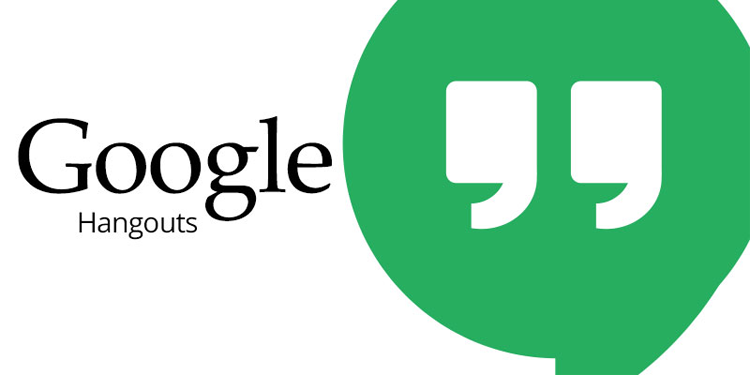 Another differentiator of Google+ Hangouts is Hangouts on Air, a tool that allows you to live broadcast conversations on your Google+ profile, YouTube channel, and any website where where you’ve embedded it. Broadcasts are automatically saved to your YouTube channel afterwards. Last but not least, Google+ Hangouts is the only service that currently enables you to wear mustaches and astronaut caps during meetings with some of your more good-humored co-workers.